The ALL NEW mdlottery.com is LIVE! Come check it out. The new website includes many enhanced features to provide you, our valued players, with a broad spectrum of information along with a state-of-the-art interactive experience to make your gaming experience more enjoyable. Some of the sites new features include: full integration with the Lottery’s blog Sn@pshots Lottery News; improved navigation; winning numbers quick view straight from the homepage; multiple RSS feed choices; complete social integration with Facebook and Twitter, as well as other social networks; historical numbers search and archive; and an enhanced prizes-remaining page for scratch-off tickets. In addition, the site will also debut MDLotteryTV providing original video content straight from the Lottery’s YouTube channel. For two days, a Baltimore County woman had a lucky scratch-off ticket in her purse and didn’t know it. During the recent Thanksgiving holiday weekend, she purchased four scratch-off tickets, one of which was the Bingo Times 10 scratch-off. Instead of scratching the entire ticket, she scratched only the barcode portion and checked it at a local retailer. The message advised to visit Lottery headquarters and the experienced player knew it was more than $500. She immediately put the ticket in her purse and forgot about it for a few days. 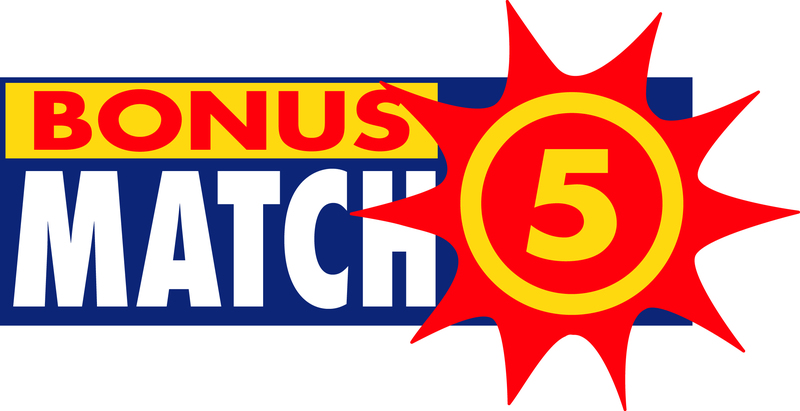 Then while she was getting her car worked on, she scratched the rest of the ticket and discovered that she had won a $50,000 cash prize. “I screamed in silence when I found out how much I won,” she said. After discovering her fortune, she went to Lottery headquarters to claim her prize. The 37-year-old nursing home worker did not tell anyone at the time but plans on immediately telling her mother of her newfound fortune. She also plans on sharing the news with other family members, do some holiday shopping and pay for some work on her home. The winning ticket was purchased at Woodmoor Shell on 7001 Liberty Road in Baltimore. 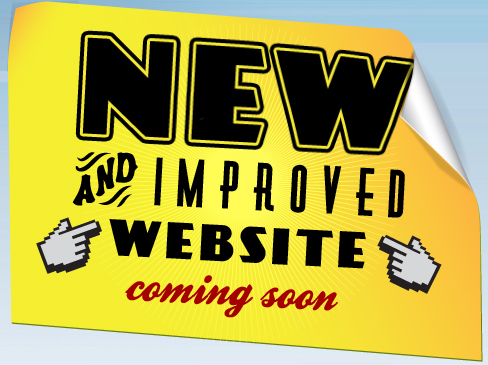 UPDATE: Monday, December 6 – We are experiencing technical difficulties as we attempt to launch the new website. We hope to have these resolved as soon as possible. 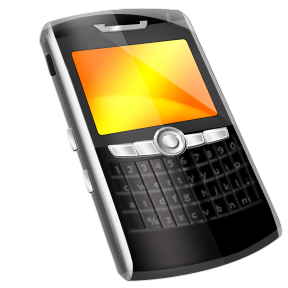 UPDATE: Friday, December 3 – Comments and questions are now closed on this blog. We looked forward to hearing from you as we launch our new website. We are proud to announce that on Monday, December 6th we will be launching the ALL NEW mdlottery.com. The new and improved website will include a lot of great new features including full integration with our blog Sn@pshots Lottery News to become a one stop destination for everything Maryland Lottery related. It is a really exciting announcement for us and we hope you are as excited to see and use the ALL NEW mdlottery.com as we are to bring it to you. We look forward to receiving your feedback and continuing to bring you enhanced features down the road to make your gaming experience more enjoyable. 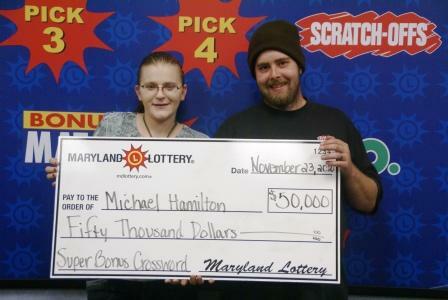 Michael Hamilton, of Windsor Mill, got his holiday season started with a bang last week, with a $50,000 win. The 27-year-old truck driver and fan of Maryland Lottery instant games stopped by Lottery Headquarters to pick up the top prize he won playing the Super Bonus Crossword scratch-off game. 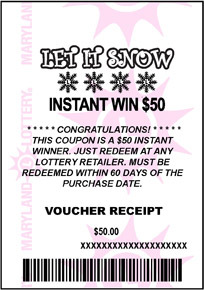 It’s snowing in Maryland Lottery retailers across the state. Play Pick 3 Let It Snow now through January 2nd. All Pick 3 players have a chance to win $5, $10, $25 or $50 instantly when playing $1 or more. Just look for the snowflakes at the top of the voucher receipt. With over $2,000,000 in prizes, you never know when it’s going to snow in a retailer near you. Plus, you can still win Pick 3 if your numbers hit. Never played Pick 3? Learn how to play here. A $1.00 bet can win up to $500. Best of all, you can play Pick 3 twice a day, seven days a week!